“It is very painful to see the current status. There is no pride in our cricket at the moment. When you lose, you are under pressure, but you should be able to absorb it. I am not too sure that is happening. This is the best time to come out of it because it cannot get worse than this,” said Jayasuriya. “I am shocked at how they have got some of the basics wrong. Running between the wickets looks awful. There’s no trust among the batsmen. Aravinda and I used simply make eye-contact and run without even calling,” he said. “A huge concern is that the guys who get starts are not able to finish things off. Batsmen like Rohit Sharma and Shoaib Malik have shown in this tournament how it should be done. We are going to face a huge crisis moving forward unless we fix the issues. Only eight teams will play the Champions Trophy and only 10 teams will play the World Cup. We are going to miss out in future if we are not going to sort these issues. Some of the younger cricketing nations have shown professionalism. We cannot take anyone lightly these days. Smaller teams are getting more exposure and they are a threat,” he said. “At the moment we look below par in all three departments and our fitness is a huge concern for me,” said the former captain. Former skipper Aravinda de Silva echoed Jayasuriya’s sentiments and said Sri Lanka have got their strategies wrong after the former champions made a humiliating exit in the Asia Cup. Sri Lanka suffered defeats at the hands of Bangladesh and Afghanistan inside three days to crash out, ending their worst Asia Cup campaign. “Losing is part of the game, but the sad part is that we haven’t got our strategies sorted out. They have no idea what they are doing. There is no proper direction and clarity. The batting is a mess. We have to set each batsman a role and set the batting line-up accordingly. They are still continuing trial and error which is dangerous considering the World Cup is nine months away,” said de Silva. “I am appalled with our fielding. That is not excusable. It has got nothing to do with talent. It is mainly hard work. I am not too sure whether they are placing enough emphasis on fielding. They are carrying a few older players and those players need to be positioned in certain areas and work on that. By now it should have happened,” he said. “I also see that they are opening with Kusal Mendis. Well, I am not too sure whether he is an opener. His technique and temperament are such that he is better off at number four. Kusal is a guy who has got all the shots and should play the anchor. They need to understand his strength and strategise accordingly. “I am glad that Lasith Malinga has returned to the side and that has given some variation to the attack. 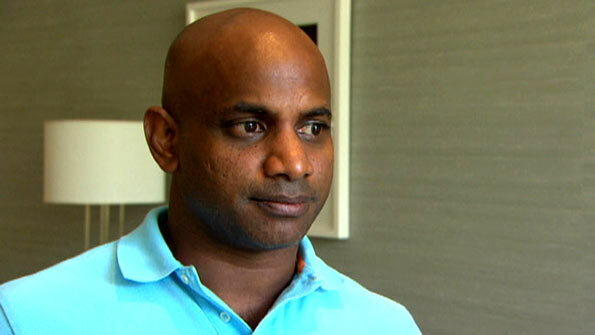 We have to analyse properly and make some decisions moving forward,” said Aravinda. Yes, moving forward SL has to do . Dead-wood Matthews has been removed. Theis guys play cricket soon after they start walking. They played many school Cricket & Club Cricket before get in to national squad.. If they can’t run between wickets what they can do? Our Cricketers first go back to the drawing board (Or start playing GUDU).